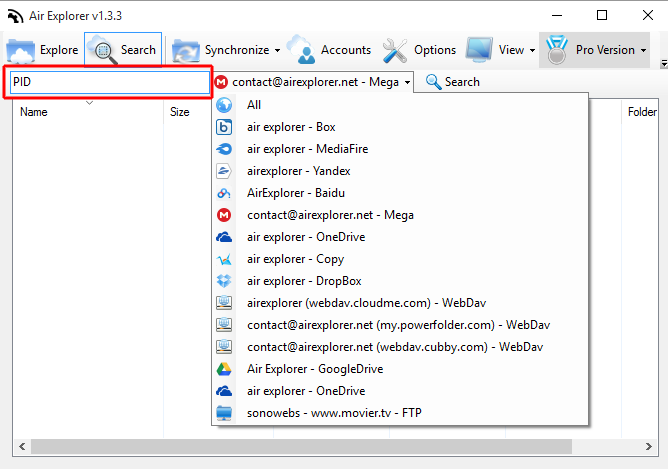 How to change the displayer account names in Air Explorer? 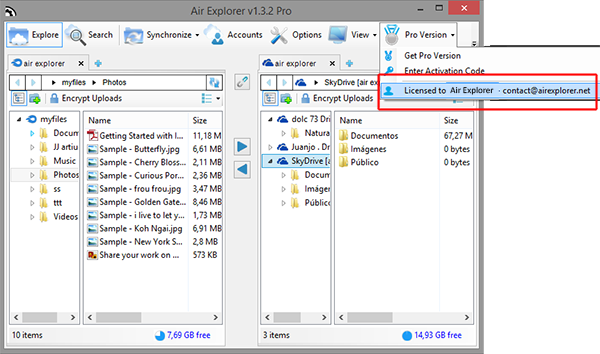 You can change the names of your cloud accounts in Air Explorer. First, open the Accounts Window. 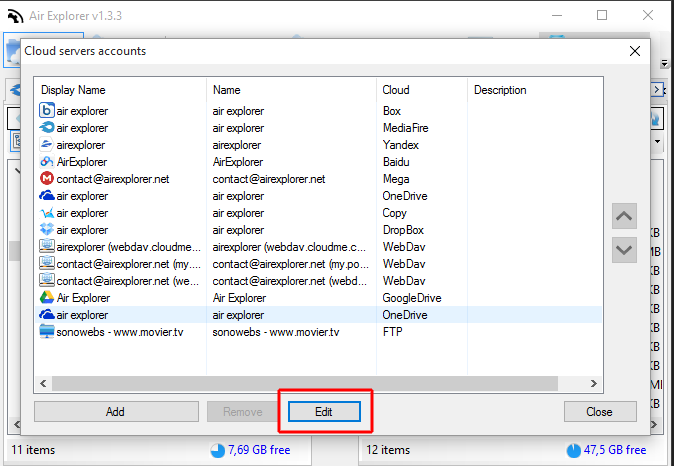 Next, you have to select the account you want to change the name and click “Edit”. 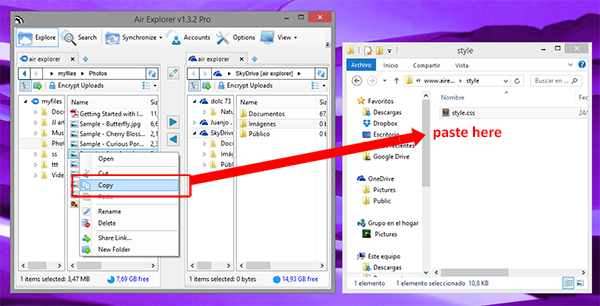 Finally, you can change the data (name, cloud, display name and description) in the Edit Account Window. 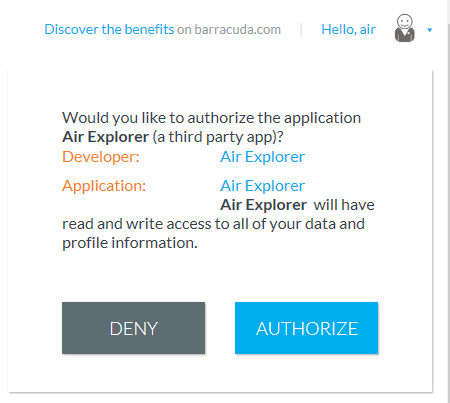 You can search in your clouds with Air Explorer. 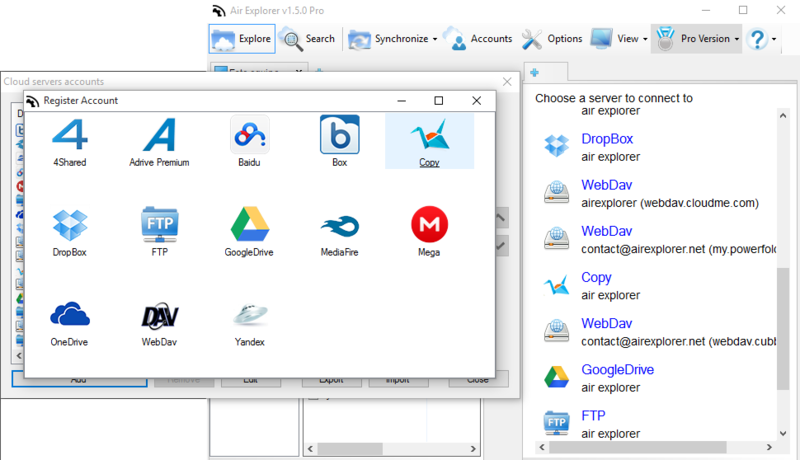 If you want to locate one file in all your clouds or only search in one, it’s very easy with the software. 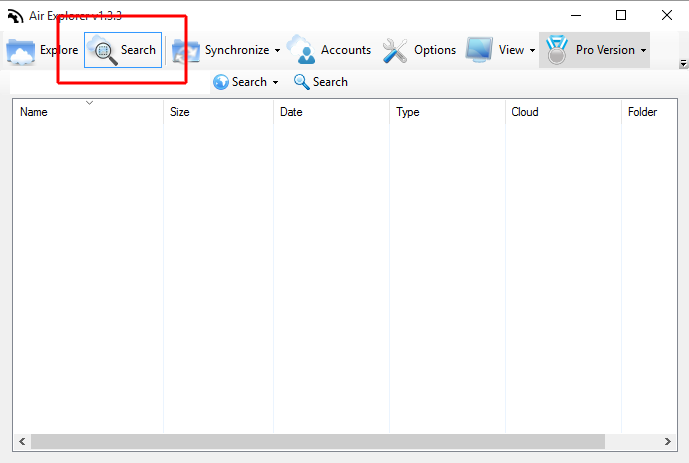 Write the name of the file you want to search and select the cloud where you want to make the search. You can choose one cloud or all. 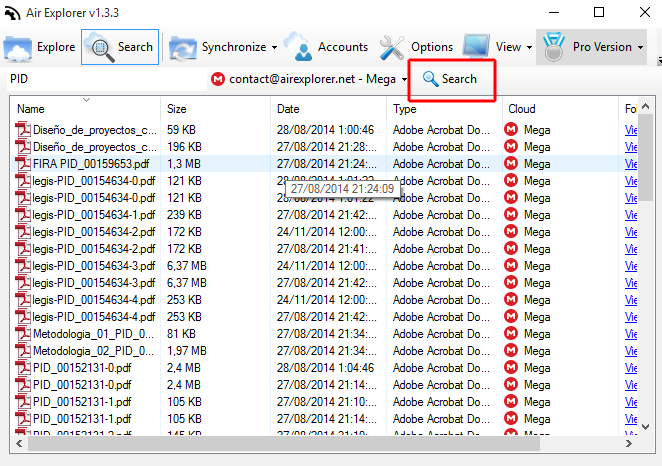 The result of the search will give you all the information about the file you searched. 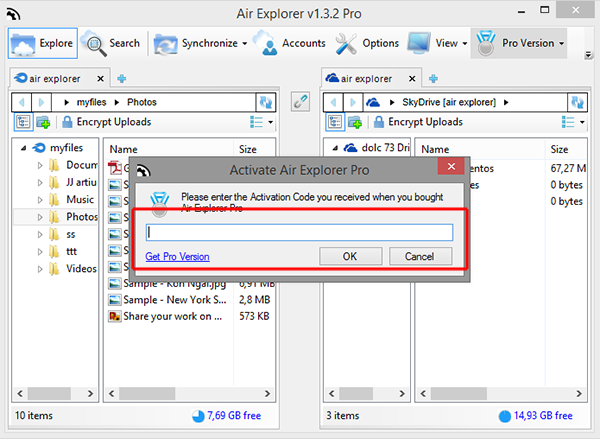 Unlimited accounts per cloud, encrypt uploads and downloads, save and load synchronizations, unlimited simultaneus downloads and uploads and starting up password are the features you can enjoy if you buy Air Explorer Pro version. 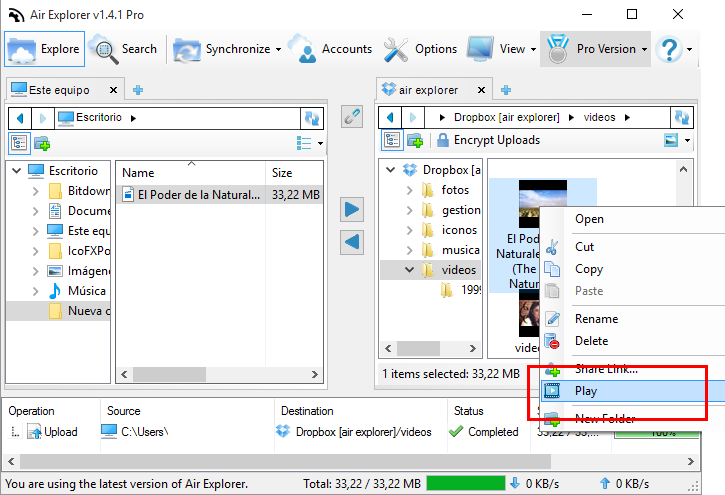 Getting the Pro Version is very easy. 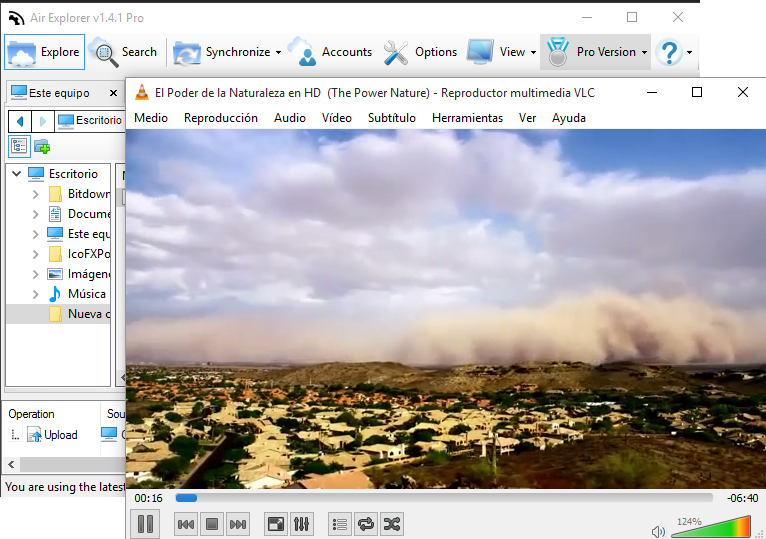 You can access the page of sale since the software. 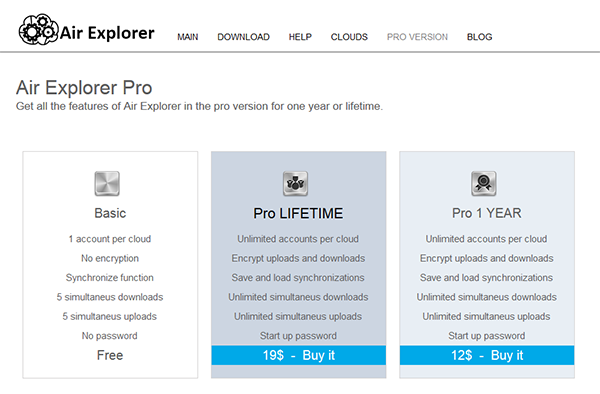 Select the option you prefer, Lifetime or One Year, and click it. 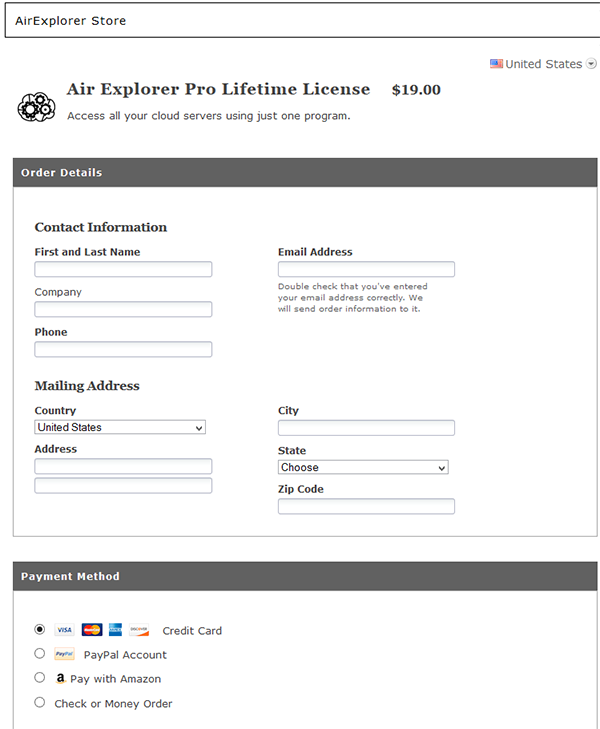 Then, you jumps to the AirExplorer Store Page where you have to complet the purchasing. 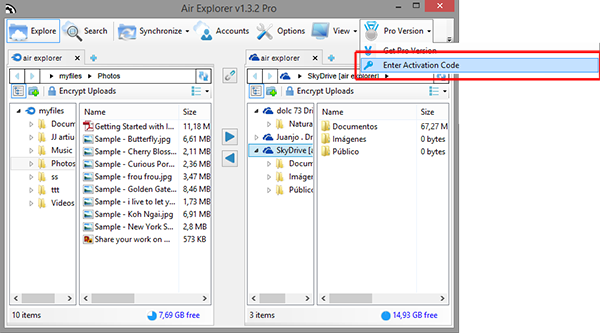 After the purchase, you will receive an email with your Activation Code that you have to enter into the software. 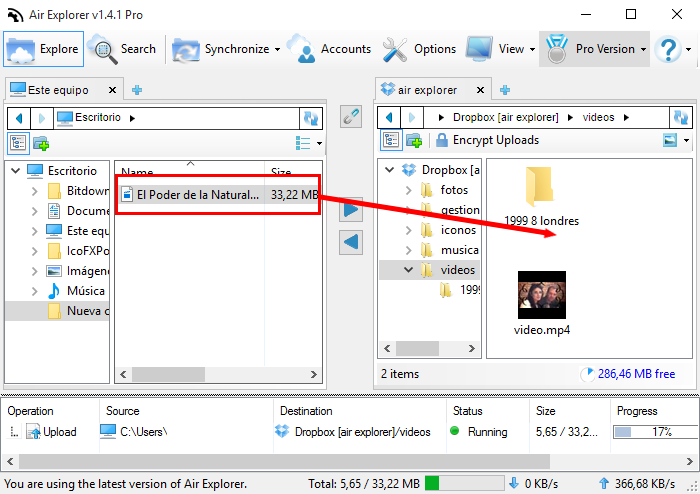 If everything is allright, in the Pro Version menu you can check your license data. 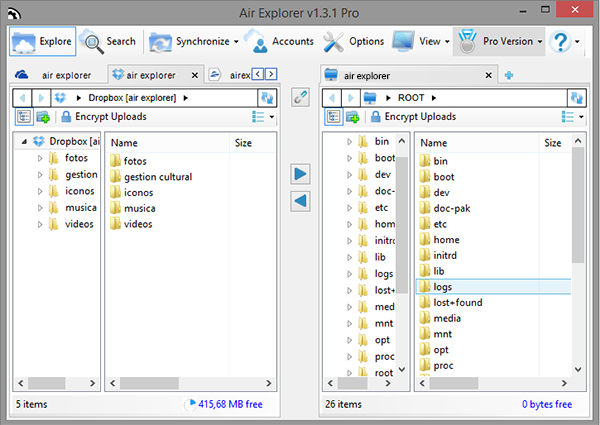 Air Explorer can work as a FTP client. 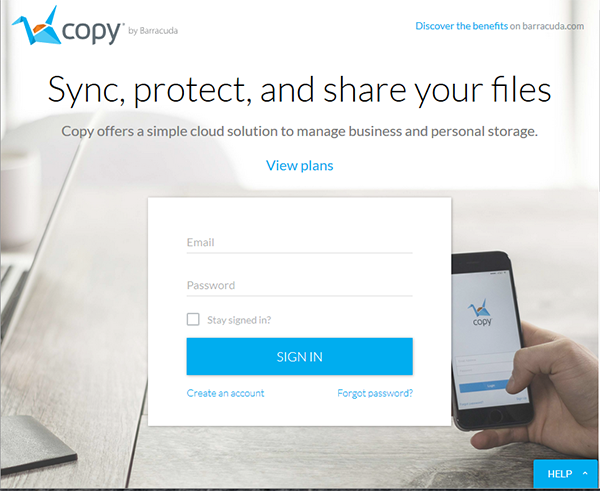 IT allows you to transfer files between your FTP server and your computer or any other of the supported cloud servers. 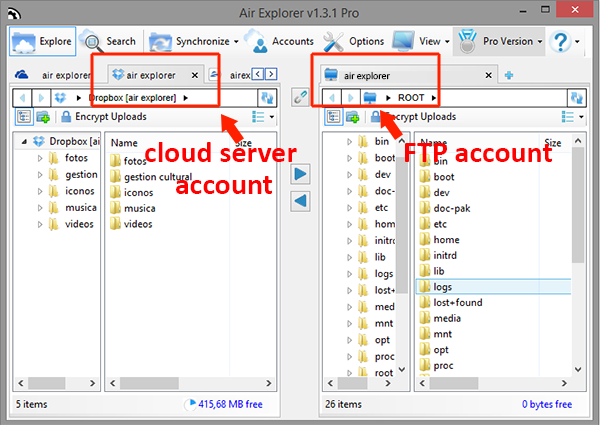 To add a FTP client in Air Explorer is very easy. 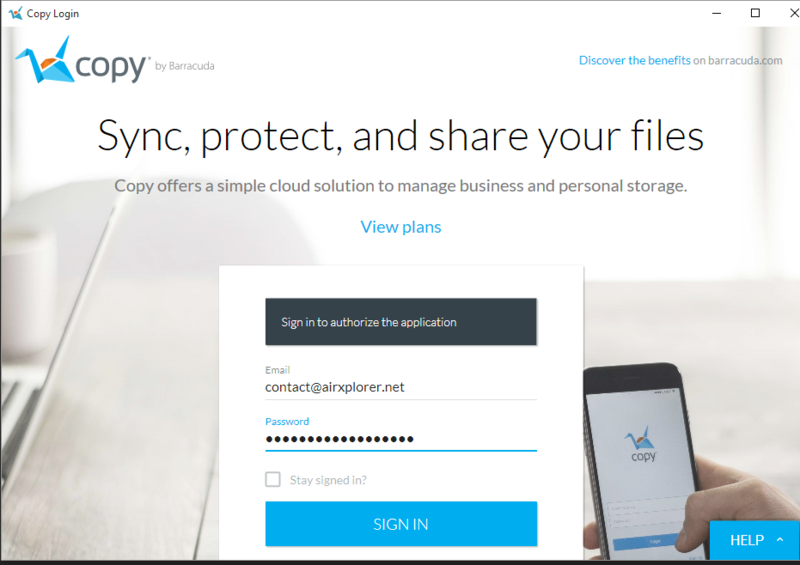 First, click in the “Account” button, in the same way you add new clouds. 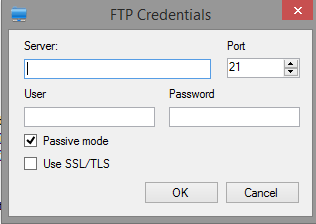 Add the login data of your FTP account: server, username and password. 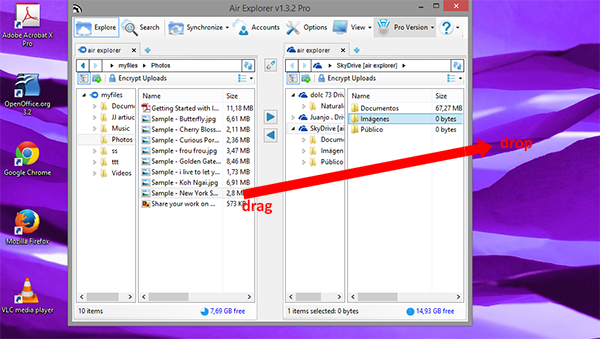 After adding FTP in Air Explorer successfully, you can see all contents in FTP are shown in the interface of Air Explorer. 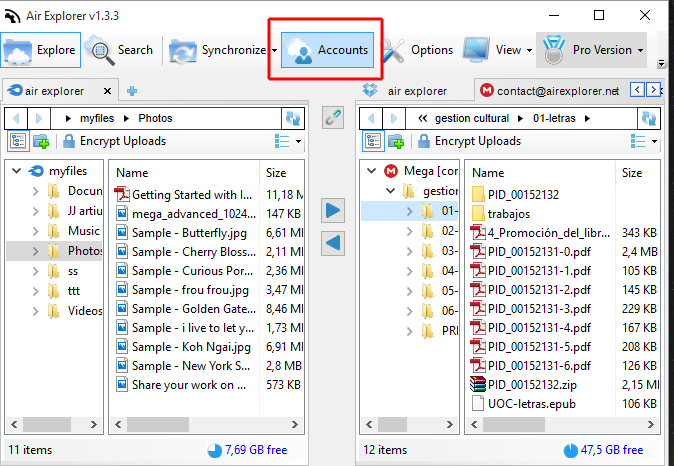 Now you can work with your FTP account uploading and downloading files. 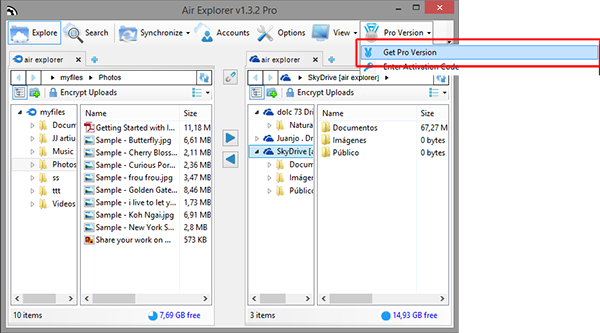 With the Pro version you can add several FTP accounts and even copy and synchronize files between them.